dans un cadre magnifique, pres du centre du village, pres des plages, situation ideal pour st tropez - a eviter tous les embouteillages! We, a company of four middle-aged high school friends, spent a fabulous week at The Villa in mid-September. The Villa matches all the photos seen on Homeaway site. The kitchen, the rooms and the bathrooms are spacious providing maximum comfort. Wi-Fi is excellent. I especially enjoyed my cold Aperol Spritz. The owner answered our booking and special requests with any delay. I can highly recommend The Villa and will definitely come again, this time with my extended family. A perfect place for a perfect holiday! 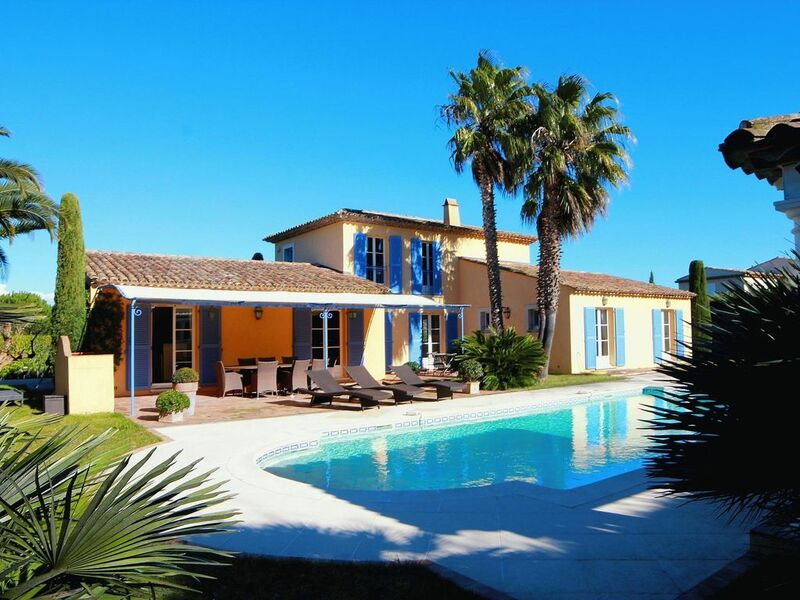 This charming villa in the beautiful village of Saint Tropez more than fulfilled my expectations. Located in a quiet, tranquil area, with all amenities one could possibly need, well kept and clean, it was a perfect place for a perfect holiday. Featuring a large garden, a private pool and a hot tub, the villa offered a perfect blend of relaxation, fun and comfort. The owner and manager were very kind and helpful. The beach was amazing, as was the delicious French cuisine. Not to mention shopping! I would definitely recommend it! What a place. We were lucky enough to get this place last minute :D 2 days before. We were 3 couples. The place was extremely clean, everything worked perfectly. This place is amazing you do not want to leave the house. 5 mins away from St TRopez port.. I've been several summers in this lovely house. Located in a higly securised area very close to the beach (300m) and the center of the Saint Tropez (10 min walk) It's a very quiet place compared to the noise of the city and this is very relaxing after crazy nights. The interior of the house is lovely and typical of the Provence style in this region of France. The house is fully equipped and very clean, the dometics workers are polite and discreet. You will spend most your time around the pool to apreciate the sun. I particulary enjoyed having dinner on the terrace with the barbecue and the song of cicadas.